This entry was posted in Racing on November 1, 2013 by Steve Tilford. 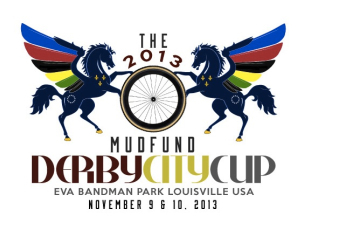 I’m doing a cyclocross clinic next Friday night before the UCI races in Louisville. I haven’t raced a cross race this season and am not sure I’m going to be racing one for sure next weekend as of now, but I am going to be doing a skills clinic on Friday before the race at 4 pm on the course. This is the venue where the World Championships were held last February. So if you’re planning to go to the races next weekend, come on by and ride a little and hopefully we’ll all learn something for an hour and 1/2 on Friday. It won’t be too strenuous in case you’re racing Saturday or/and Sunday. It’s free of course. I guess you’re supposed to register though, so you can click here to get to the free registration page at BikeReg. Signed up for your CX clinic next week. Driving down from Cleveland , Oh. May get there late, due to work. Where will you be starting the clinic and how can I find the clinic if I am late? Go easy on me, I’ll be the old guy in the group, turned 60 this year. I was just wondering when you were racing mountain bikes full time how much time did you spend training on actual trail? And how much time was spent on the road bike? Thank you for your time, I’m a big fan. Chad-When I was racing MTB full time, I pretty much trained exclusively on the road. I was racing so many races, the recovery riding off-road wasn’t enough to be rested up for the next weekend of races. After the skills are 2nd nature and the form is there then the recovery becomes the priority. But, I was racing virtually every weekend. If you’re only racing a couple times a month, I see no reason not to go out and train on the trails. The training off-road doesn’t beat you up nearly as badly as racing.